Spiritual teachers often speak of the need to let go of things. We are told we need to let go of material things, of desires, of attachments, of anger, and even of the desire to become enlightened. While there is certainly truth in this, if this instruction is taken as an ideal coming from the outside that we must strive to live up to, we will probably struggle with it. We will have doubts about what we should let go, and find it difficult to actually make the letting go happen. We will do much better if we allow our own self-awareness to teach us about letting go. In our formal insight meditation practice, and our practice in daily life, the Buddha urged us to develop sati and sampajañña, or mindfulness and clear comprehension. Sati, or mindfulness, is directly seeing, without judgment, what is here in the present moment in our body and mind. It is present moment awareness that does not impose a judgment as to whether what is seen should or shouldn’t be there. What’s here is here, and sati simply knows it. Sampajañña, or clear comprehension, is the faculty that recognizes and understands what is being apprehended by sati. I am not talking so much about an analytical understanding of what is being witnessed, but more of a present moment sense of truly “getting” what it is that we’re seeing. We can let these two faculties of sati and sampajañña be our guide in our project of letting go. Not all desires need to be released, only those that lead to suffering. For example, the desires to practice the Dhamma, or to care for other beings and the welfare of the planet, do not in themselves cause suffering. It’s possible that internal suffering may be created as a result of how those healthy desires are pursued, but the impulses to practice the Dhamma, or care for others, do not in themselves bring us suffering. To the contrary, ignoring the Dhamma, or the needs of others, does produce suffering for oneself and those around one. So how do we sort this out and navigate it? What do we need to drop? Well, we can begin by using our mindfulness and clear comprehension to know when suffering is happening in the heart/mind. If it is, then unwholesome desire/grasping is also present. We can use the sati/sampajañña that we are cultivating with our insight meditation practice to notice this. When unwholesome desire or grasping is present, there is unease in the heart/mind. This is dukkha, or suffering. It may manifest as a burning, or sense of heat, or agitation, or perhaps a sort of driven or “wired” feeling. It doesn’t feel good. When we bring mindfulness and clear comprehension to our present moment experience, we are staying with it long enough to really get what is present in the heart/mind. If the heart/mind is suffering, stay with the unpleasant aspect of the internal present moment experience long enough for sampajañña to recognize that the mind is embroiled in suffering in that very moment. Allow your awareness to feel the dukkha, not wallowing in thoughts associated with the suffering, but taking in the felt sense of unease that is present in that moment. If we do this, we see for ourselves what should be released, rather than taking someone else’s word on it. This is also the path for making the letting go happen. When the mind has present moment awareness (not just a conceptual understanding) that its grasping is causing suffering in that very moment, it will naturally want to let go. If someone else tells you that you should let go of something, you may have some doubt, or some resentment that you can’t have your way. “I really want this, why shouldn’t I go after it?” But, when the mind has present moment awareness of its own suffering, it lets go, not because someone else is saying that it should, but because it wants to let it go all on its own. 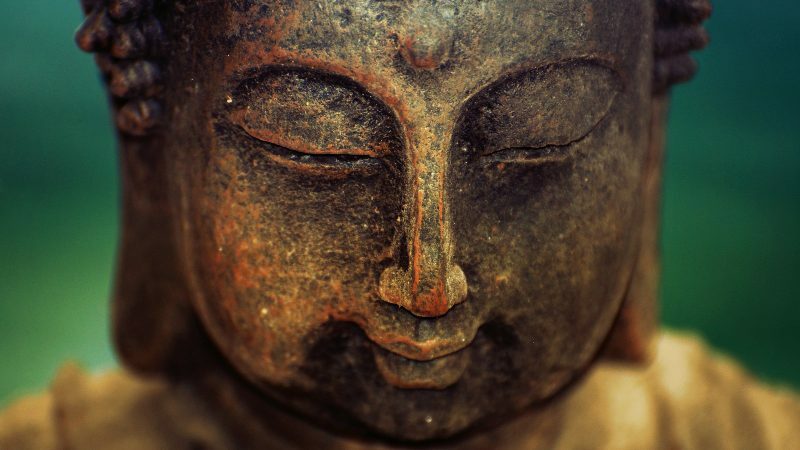 This is the natural path to letting go of suffering. Michael, thank you for another beautifully composed, thought provoking Dhamma letter.